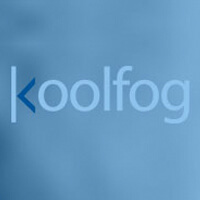 Learn how to commission your Koolfog system with a video from Fog Girl in several easy steps. This video will take you through the process of checking your inlet pressure gauge, connecting the distribution line to the pump, flushing out debris, installing the final nozzle and lastly, pressurizing it. Installing misting nozzles is a quick and easy process. Our Fog Girl will show you how to thread the spray nozzle onto the automization line and what to avoid during the process. It’s so easy, even she can do it! Fog Girl will show you how to install a reusable hose fitting in this short video. Our video will cover how to thread the ferrule into the hose in a couple quick easy steps. Fog nozzles are a bit different to install that misting nozzles, but still a cinch. Fog Girl will take you through the a couple easy steps, including how to thread the fog nozzle on the automization line and how many rotations to turn the nozzle before it’s set. Like we said, it’s a cinch! 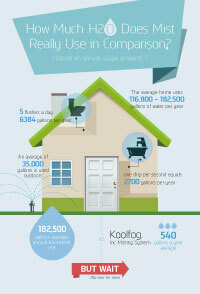 Learn how to install a compression fitting with Fog Girl. One thing to note beforehand is that you want to purchase quality fittings. Cheap, low quality fittings can lead to bursts and leaks. Follow the steps in this video to have a join so strong that the stainless steel tubing will burst well before the fittings ever come apart!